How to Successfully Give Your Cat Medication! It’s never easy to give your cats a new kind of food, let alone medication! It’s hard enough to get them in their carriers and giving our cats’ pills or even flea medication can be challenging! Cats are especially hard to give medication because they aren’t used to us getting in their mouths (unless your brush their teeth!) and can sprint away in seconds. Some cats are more resistant than others, but it is never easy. Advanced preparation is key in medicating a cat – get all your supplies ready. Before you even attempt to medicate your cat, get all your supplies together and get your process down! Have the medication handy, along with a treat and a towel for wrapping your cat if necessary. If possible to administer after a nap or when your kitty is groggy or mellow, that helps. Maybe you have a routine where your cat is really happy and purring or when you can surprise your cat. But, of course, if your cat is in a skittish or anxious mood, don’t even try to attempt medication. Come back when he or she is calm. To give your cat a pill, try to hold your cat steady on a flat surface, with his back legs against your body. Using one hand, steady your cat’s head and tilt it slightly upward. Grasp the pill or capsule between your thumb and forefinger of the opposite hand. Use your middle finger to open your cat’s mouth and slide the pill down the center of the tongue to the back of the mouth, getting it as far back into their mouth as possible. For liquid medication, have the medication drawn up into a dosing syringe. Use your free hand to tilt your cat’s head up slightly. Place the tip of syringe in the back corner of your cat’s mouth, squirting the medication in the space between the cheek and gums. Be sure to reward your cat with a favorite treat after or a rub down. Love works wonders. If your cat tries to scratch or bite you, place a thick towel around your cat’s neck and front legs to protect yourself from your cat’s claws. Some liquid medication can be mixed in your cat’s food. Liquid medication can be mixed in with wet food or with gravy or tuna juice. A strong scent is key to disguise the medication. 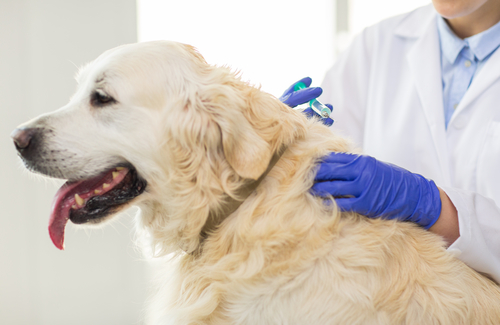 Of course, check your vet to make sure this won’t affect the medication. You can purchase pill pockets which can be used to hide a pill or capsule inside. The pill pocket with the medication inside is then offered as a treat. You can even make your own pill pocket by wrapping the pill or capsule in a little cheese or inside of a ball of canned food. Watch to make sure your cat doesn’t just nibble around the medication rather than take it. 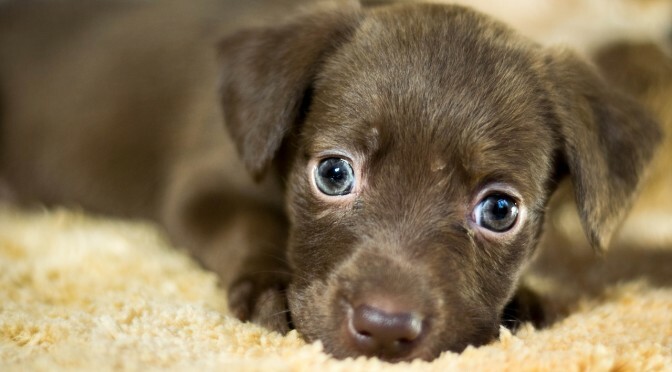 Greenies are a favorite and as always, our friends at Chewy.com carries them! 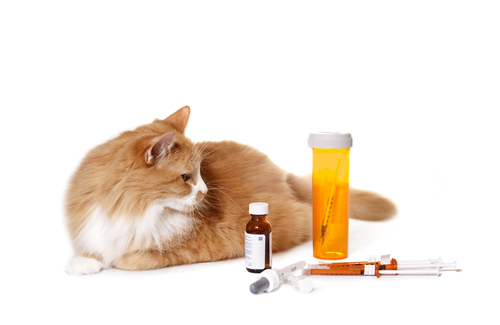 There are many different medications that can be compounded to make it easier for you and your cat! Many medications can be compounded to make it into a tastier liquid. And then just put the medicated liquid in your cats’ food. There are special compounding pharmacies that can do this for certain medication. Chewable Treats Almost any cat medicine can be formulated into a chewable treat in a cat-friendly flavor like chicken or fish. If your cat likes the taste, this is probably your best custom-compounding option, as you’ll know your cat has completely consumed his medicine. Transdermal gels: Some medications are also available as a transdermal gel, or can be compounded into one. This special medicated gel is able to be absorbed through the skin rather than requiring oral administration. Typically, these medications are applied to the inside of the tip of the ear. 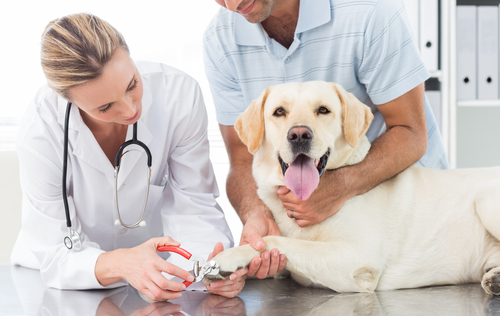 Your vet will be able to tell you if any of your medications can be applied in these different forms. Like anything, practice makes perfect and only you know what will work for your cat and what doesn’t. If your cat is like mine and is really hard to get in the carrier, take a look at this article: Successfully Getting Your Cat Into a Carrier!